As much of our work is customised to our guests requirements, we offer the following prices as a guide only. All prices are quoted in $AUD and include Australia's Goods and Services Tax (GST). 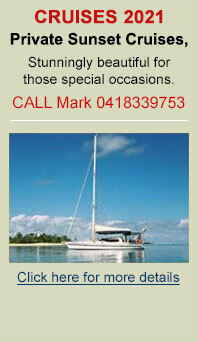 Included in rates are meals, snacks, soft drinks, basic toiletries and the Great Barrier Reef Marine Park tax. Alcohol is available to your requirements is an extra charge. 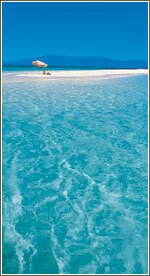 Full Day only Charter rate from $2625 (7 hours). Daily rates per hour $375.00 Minimum 3 hours. Rates can vary depending on guest numbers, duration of the charter and special requirements such as diving. Overnight charter rates please contact us. Minimum days may apply. Relocation costs may apply. Pakage prices are available on request after needs have been determined. Prices and Conditions subject to change without notice.